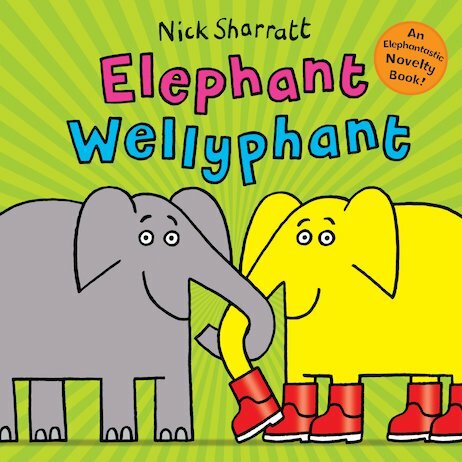 You might think there’s just one kind of elephant – big, grey and blobby. 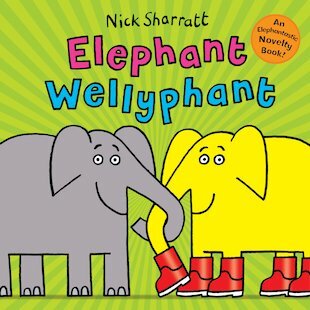 But in this book you’ll meet all sorts of exotic elephants, from the Polka-Dot Umbrellaphant to the spangly Cindarellaphant! Which will be YOUR favourite? Pull the tabs and lift the flaps to see! Will it be the Fruit Jellyphant? The Chocolate Caramelephant? Or even – hold your nose! – the stinky Rude Smelliphant?? Get pulling, get lifting, get tweaking. There’s an elephant for everyone in this comic masterpiece. This is about different types of elephants.